The beaming couple waved nonstop as they passed by the cheering crowds. 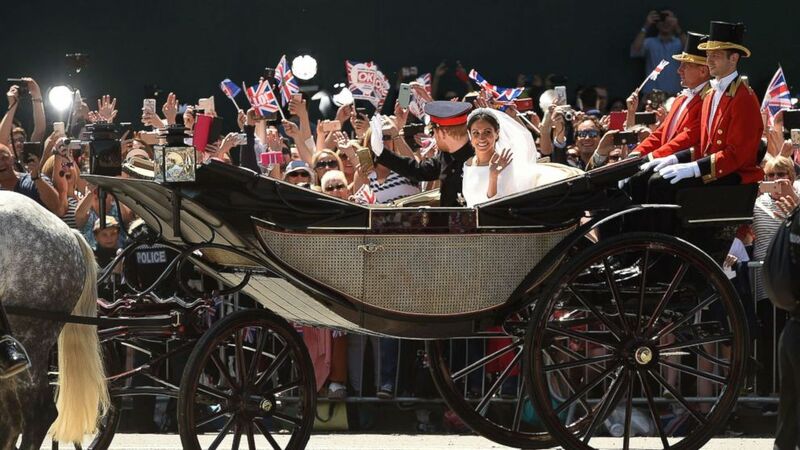 Prince Harry and Meghan Markle's royal wedding was followed by a carriage procession to give the crowds lining the streets of Windsor an up-close look at the newlyweds. 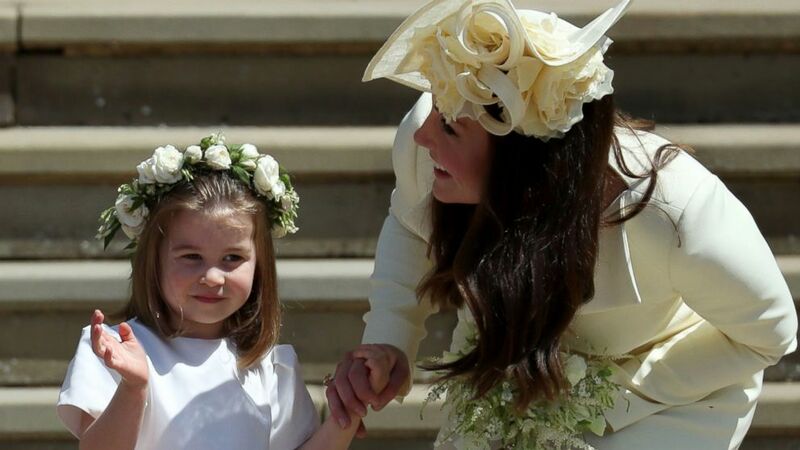 As the horse-drawn carriage started on its way, 3-year-old Princess Charlotte gave her uncle and new aunt a wave. (AFP/Getty Images) Princess Charlotte waves by her mother Britain's Catherine, Duchess of Cambridge after attending the wedding ceremony of Britain's Prince Harry and Meghan Markle at St George's Chapel in Windsor, May 19, 2018. 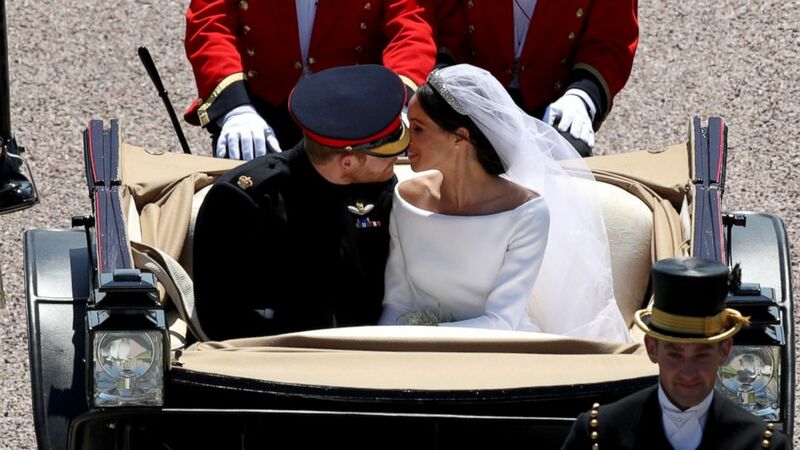 (Andrew Mathews/AFP/Getty Images) Prince Harry, Duke of Sussex and his wife Meghan, Duchess of Sussex get into the carriage after their wedding ceremony at St George's Chapel, Windsor Castle, in Windsor, May 19, 2018 to start their wedding procession. 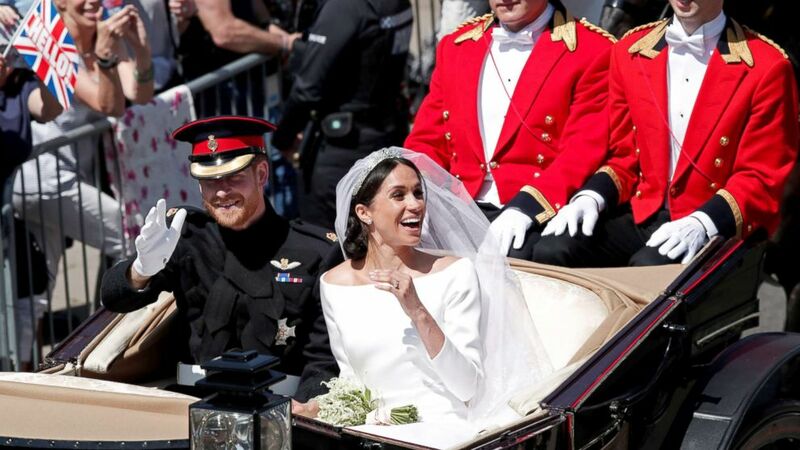 The beaming couple -- who now hold the titles of Duke and Duchess of Sussex -- waved nonstop as they passed the cheering crowds of adults and children who had come from across Britain and the world. (Benoit Tessier/Reuters) Prince Harry and his wife Meghan ride a horse-drawn carriage after their wedding ceremony at St George's Chapel in Windsor Castle in Windsor, May 19, 2018. 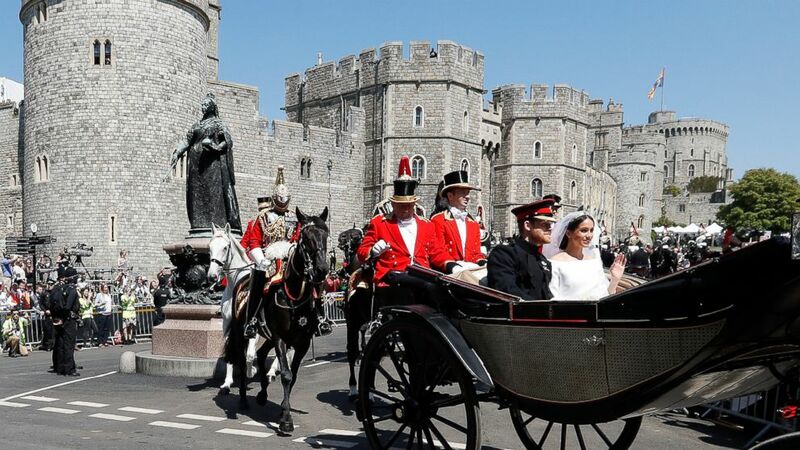 (Reuters) Prince Harry and Meghan Markle leave St George's Chapel in Windsor Castle after their wedding in Windsor, Britain, May 19, 2018. 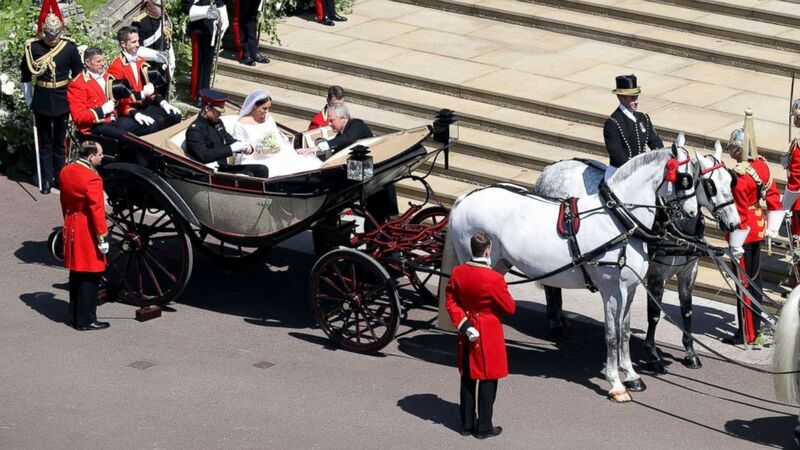 (Reuters) Prince Harry and Meghan Markle ride in an Ascot Landau along the Long Walk after their wedding in St George's Chapel in Windsor Castle in Windsor, May 19, 2018. 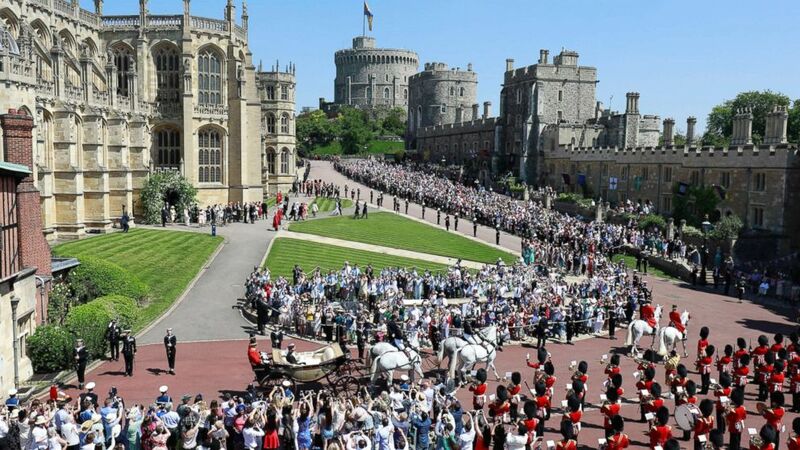 (PA) Prince Harry and Meghan Markle leave St George's Chapel in Windsor Castle after their wedding, May 19, 2018. (Odd Anderson/Getty Images) Prince Harry, Duke of Sussex and Meghan, The Duchess of Sussex, leave Windsor Castle in the Ascot Landau carriage during a procession after getting married at St Georges Chapel on May 19, 2018 in Windsor. 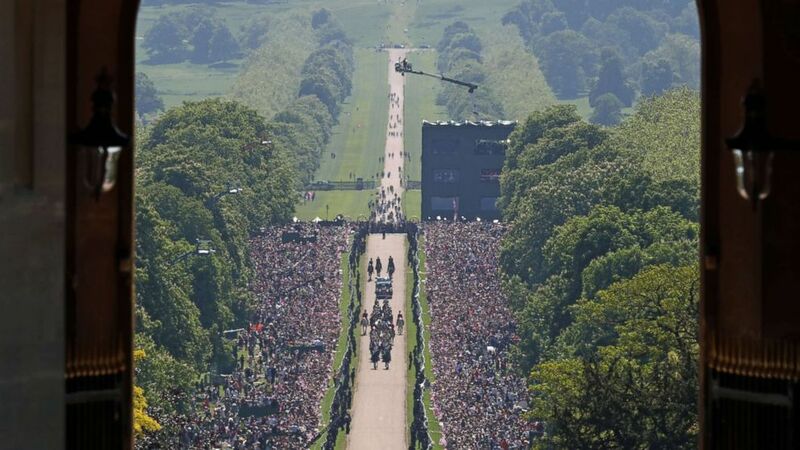 The roadway was so narrow that those in the crowd could nearly reach out and touch the royals. (Jeff J Mitchell/AFP/Getty Images) Prince Harry, Duke of Sussex and his wife Meghan, Duchess of Sussex are escorted by members of the Household Cavalry Mounted Regiment during their carriage procession on the Long Walk as they head back towards Windsor Castle in England, May 19, 2018, after their wedding ceremony. 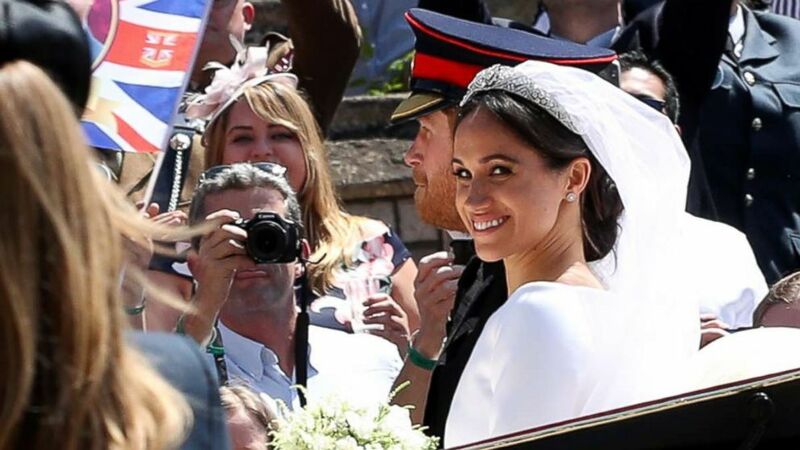 (Oli Scarffoli/AFP/Getty Images) Prince Harry, Duke of Sussex and his wife Meghan, Duchess of Sussex wave from the carriage during their carriage procession on the Long Walk as they head back towards Windsor Castle in Windsor, England, May 19, 2018, after their wedding ceremony. (Steve Parsons/PA) Meghan Markle and Prince Harry ride in an Ascot Landau carriage up the Long Walk at Windsor Castle after their wedding, May 19, 2018. The American bride seemed touched by the outpouring of support and at one point placed her hand over her heart. 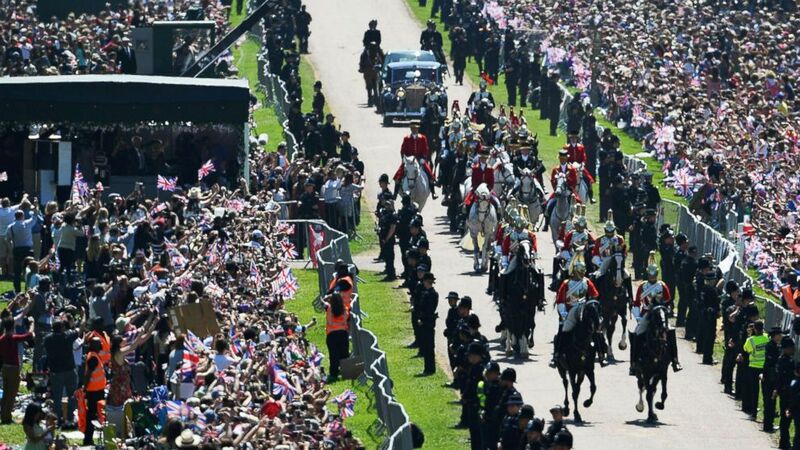 One horse in the procession may have been a little too excited to be a part of the historic moment and briefly fell out of its place. 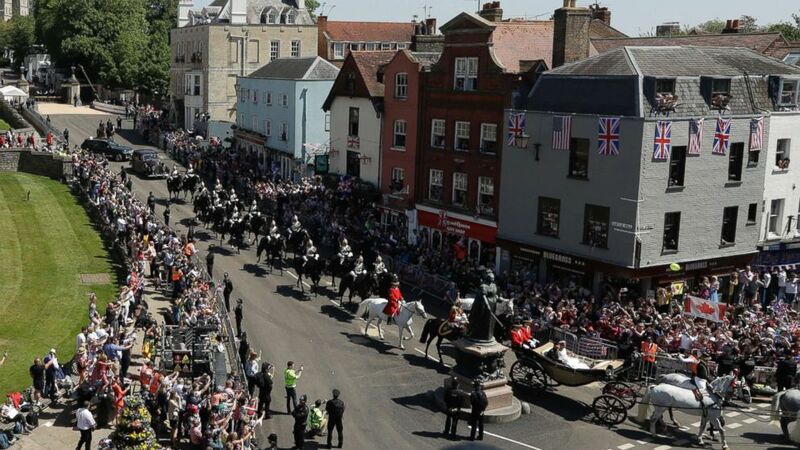 The carriage was pulled by Windsor Grey horses, which have been drawing the carriages of monarchs and royal family members since Queen Victoria. (Frank Augstein/Getty Images) Prince Harry, Duke of Sussex and The Duchess of Sussex leave Windsor Castle in the Ascot Landau carriage during a procession after getting married at St Georges Chapel on May 19, 2018 in Windsor. 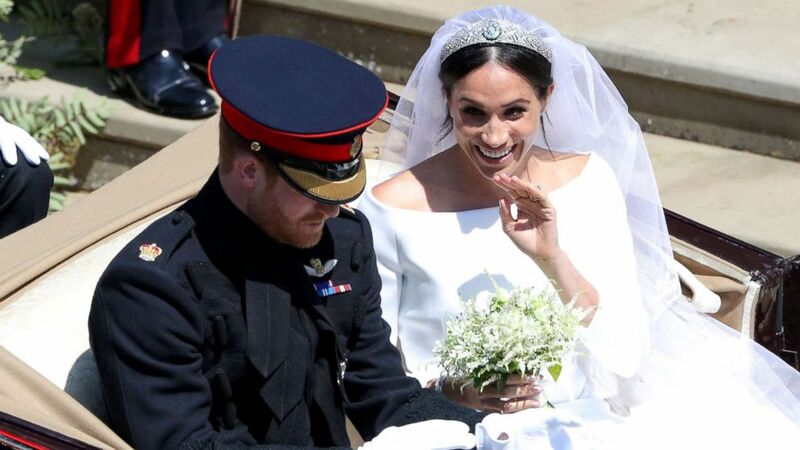 (Matt Dunham/AP) Prince Harry and Meghan Markle react and wave as they leave Windsor Castle in a carriage after their wedding ceremony at St. George's Chapel in Windsor Castle in Windsor, May 19, 2018.